hyper-linked to the original publication. If you have any items to feature in the digest please e-mail research@permaculture.org.uk The 'January 2013' archive contains 60 items published in 2012. Items marked with a # have restricted public access, although abstracts are freely available. Please support the Digest with a donation! Borehole-garden permaculture is advocated as one opportunity that involves the sustainable use of groundwater spilt at hand-pump operated borehole supplies that is otherwise wasted. Our goal has been to develop an, experience-based, framework for delivery of sustainable borehole-garden permaculture and associated benefits. This is based upon data collection and permaculture implementation across the rural Chikwawa District of Malawi during 2009–17. Based on the probable ubiquity of underlying issues, the framework is expected to be generalizable to the wider developing world. However, this particular application of permaculture represents a fraction of its greater potential opportunity for rural communities that should be explored. The limitations of conventional agriculture have accelerated the need for a transition to an environmentally and economically sustainable agricultural model. 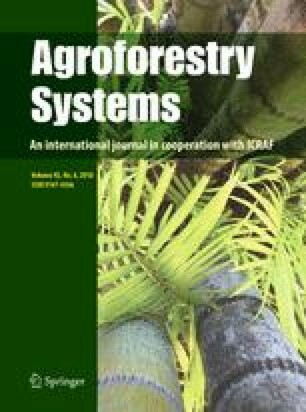 Authors aimed to study the impact of permaculture and biointensive micro-gardening practices on soil physicochemical properties and soil organic matter (SOM). The physicochemical properties of soils in permaculture farming implemented for 7 years were compared with a soil under pasture. The concentrations of total OC and nitrogen (N) in bulk soils were higher under permaculture practices, due to significant inputs of manure and compost, resulting in higher concentrations of the bioavailable nutrients Ca, Mg, K, and P. Permaculture/biointensive micro-gardening practices enhance SOM storage and substantially improve nutrient bioavailability. Australian irrigators regularly experience drought. This study explores irrigators’ water security perceptions and their water management adaptation behaviour using in-depth interviews and surveys with 37 conventional, organic and biodynamic grape growers in South Australia. Overall alternative growers perceived higher water security and less water vulnerability due to higher soil water retention. Findings suggest a need for current Murray-Darling Basin water policy to seriously reconsider the approach of primarily investing money in irrigation infrastructure to save water and to focus more on agro-ecological methods. Shea trees have been for 3000 years probably the most economically and culturally important tree species in Sudanian agroforestry systems. This synthesis paper gathers and updates most of the scattered knowledge on shea trees and parklands: socio-economic potential of shea production, current means of enhancing shea domestication, tree impacts on environmental resources and associated crop production. It concludes with a proposal for a systemic and participative bio-economic modelling approach in order to simulate intensification of shea parklands’ production. 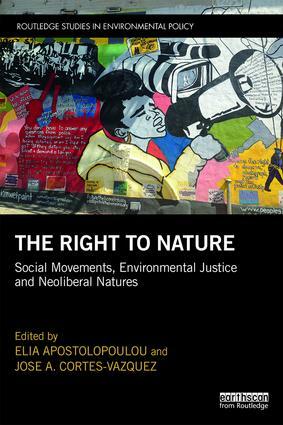 The Right to Nature explores the differing experiences of a number of environmental-social movements and struggles. Chapter 21, 'Humans in the landscape', includes permaculture. Biodiversity of insects is threatened worldwide. Authors present a comprehensive review of 73 historical reports of insect declines from across the globe, and systematically assess the underlying drivers. This reveals dramatic rates of decline that may lead to the extinction of 40% of the world's insect species over the next few decades. The main drivers in order of importance are: i) habitat loss and conversion to intensive agriculture and urbanisation; ii) pollution, mainly that by synthetic pesticides and fertilisers; iii) biological factors, including pathogens and introduced species; and iv) climate change. A rethinking of current agricultural practices, in particular a serious reduction in pesticide usage is urgently needed. In addition, effective remediation technologies should be applied to clean polluted waters. Problem soils have poor physical, chemical, and biological properties that inhibit or prevent plant growth, largely due to inappropriate farming practices or anthropogenic pollution. Biochar has been widely used as a soil amendment for improving soil quality. Relatively limited attention has been focused on the effects of biochar amendment on plant growth in problem soils. A comprehensive review of literature was conducted. This suggests that biochar amendment is a viable way of improving the quality of problem soils and enhancing crop production. It is anticipated that further research on biochar amendment will increase our understanding on the interactions of biochar with components of problem soils, speed up our effort on soil remediation, and improve crop production in problem soils.